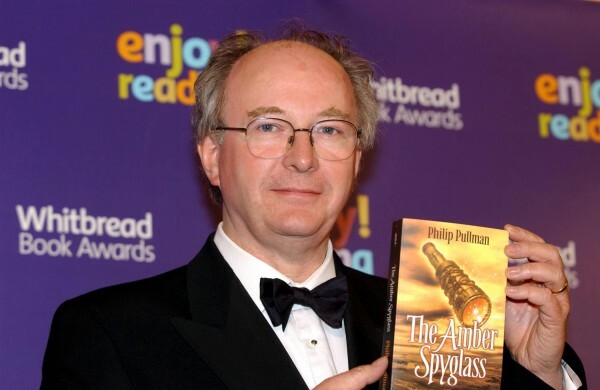 Author Philip Pullman, looks set to name one of the characters of his new book after a teenage victim of the Grenfell Tower fire – after more than £18,000 was offered in an auction raising funds for those affected by the blaze in West London. Pullman offered the right to name a character in his new book as one of a number of literary-themed lots on Authors for Grenfell Tower – an auction site raising money for the British Red Cross London Fire Relief Fund. James Clements said he used to teach 15-year-old fire victim Nur Huda el-Wahabi at Thomas Jones Primary School – and he has bid £1,500 to have a character in The Book of Dust, a companion trilogy to the author’s famous His Dark Materials series, named after his former pupil. 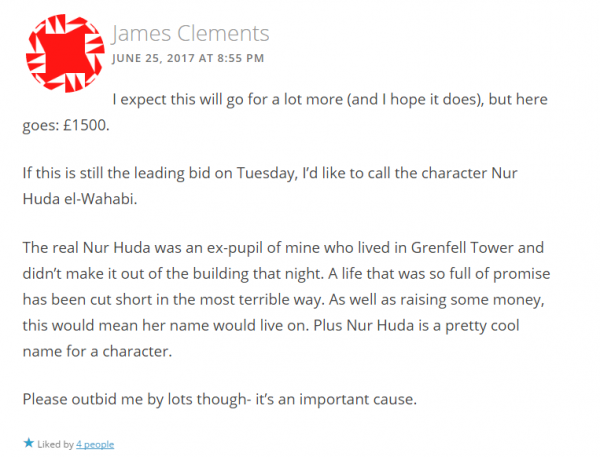 “The real Nur Huda was an ex-pupil of mine who lived in Grenfell Tower and didn’t make it out of the building that night,” Clements’ comment read. “A life that was so full of promise has been cut short in the most terrible way. Clements called for people to “please outbid” him for the cause, but since his comment a succession of users have instead made offers to increase his bid. 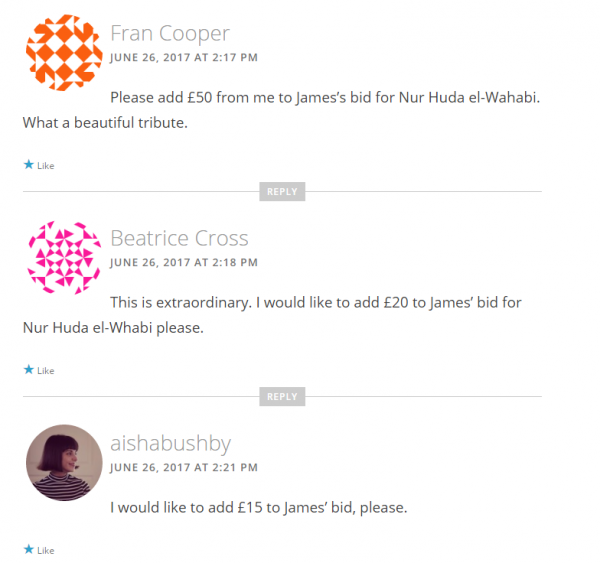 Remarkably, the scheme’s organisers say 156 contributors’ smaller additions had by Monday afternoon raised the bid to £18,430, all to ensure el-Wahabi’s name is used. The organisers say they have been in touch with Clements, who told them in a statement shared with the Press Association he taught Nur Huda at Thomas Jones Primary School – where he also coached her in the school’s sports teams. “Apart from sadness, my overwhelming feeling at the whole tragedy has been helplessness,” he said. “It has been frustrating to not be able to do anything practical to help the families affected. The Authors for Grenfell Tower site has hundreds of lots on which bids can be made. 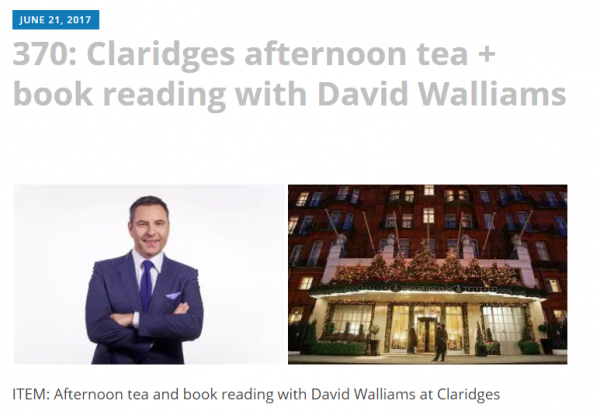 Other popular bids on the charity site include signed books from authors Malorie Blackman and Caitlin Moran and afternoon tea and a book reading with TV personality and children’s author David Walliams at Claridges. The charity scheme’s organisers, Molly Ker Hawn and Harriet Reuter Hapgood, said it has exceeded expectations.